1-Introduction The high number of cooperation, union and agreement between countries, show that the world is undergoing major and profound change in today international relationship. One of the most highlight cooperation is the relation between China and Africa. As a rising power both politically and economically China continues to strengthen and expand its relation of friendship and cooperation with African countries. This implies a significant impact in the evolution of the international order. Thus the trade between China and African countries will experience a boom. Estimated at $ 10 billion in 2000 trade between China and African countries reached $ 106.8 billion in 2008 exceeding the target $ 100 billion in 2010.China import from African countries the raw material and in return African countries import Chinese manufactured goods, including textiles, machinery, electronic goods even certain food such as rice…However, the relationship or the cooperation between China and Chad will evolve as saw tooth. Indeed the diplomatic relation between China and Chad were marked by a period of rupture in 1997.But in July 2006, the announcement of China’s new cooperation with African countries in its white book, and the political and economic circumstance lead Chad to reconnect with China. It is important to remind that, Chad is the only African country with which China has maintained trading relationship, although the two countries did not have diplomatic relations. This new relation allows both countries to diversify its business partnerships. The essence of any cooperation is to bring along benefit to all member, thus our objective here is to demonstrate if this cooperation is really a “win-win ’’ cooperation to both countries especially for Chad. Chad is a country located in Central Africa. With more than 12.45 million people , and 1,284,000 square kilometers (496,000 sq mi), Chad is the world’s 21st-largest country. The country is bounded by Libya to the north, Sudan to the east the Central African Republic to the south, Cameroun and Nigeria to the southwest, and Niger to the west. Each year a tropical weather system crosses Chad from south to north, bringing wet season which extend from May to October in the south and from June to September in the Sahel. According to the United Nations’ Human Development Index ranks Chad as the seventh poorest country in the world, with 80% of the population living below the poverty line. The GDP growth reach 5% in 2012 GDP per capita was estimated at US$1,651 in 2009 and US $ 1,900 in 2012. However, the discovery and exploitation of oil in this country have boosted its economy in this recent year. Chad import and export its product toward many countries. However, since 2006 , the potential buyer of Chad product except oil are essentially: France where 37% of product is export, Nigeria 31%, Soudan 15,7% .Crude oil was supposed to be exported exclusively to the USA. According to the figure above, China is not among main the countries where Chad exports its products. This situation can be explained by two main reasons. Firstly is that Chad has very few products to offer in the global market. Within the product it offers we can mention: fiber, cotton, cattle, Gum Arabic and oil since 2003. The first three product have a very few interest the giant of Asia either because of the acquisition cost or maybe because of the quantity of local production which it considers as insufficient. The second reason came from the severance of diplomatic relation with Chad in 1997, rupture which has had a negative impact on trade flow between both countries. Indeed, were it not for this break, the PRC which is already present in neighboring Sudan in the exploitation of the black gold will be strongly interested in the Doba oil project which is now exported to the United States, approximately 200,000 barrels of oil per day. In 2004, the importation from China concern mainly food for Chadian daily consummation, machinery and transport equipment. The percentages of the import of these products were respectively 47% and 39% of the total imports from China. It should be noted that the goods for daily consummation import refer essentially to the tea and rice. Concerning the machinery and transport equipment, the country import specially motorcycles from China. However, food and live animals from China account for only 4% of Chad total imports of these products. In terms of machinery and transport equipment, China represents only 1%. In 2005, the structure of import products from China has changed dramatically. Machinery and transport equipment become predominant in Chad import from China, more than 52% , follow by manufactured goods 26% ( dominated by iron and steel use in the public and public construction ), food and live animals arrive at third place with 13% .Chad import from China have been increase since the news accord were sign between the two countries. But once again, overall, imports of Chinese products still represent a very small share of total imports of Chad. From 1% in 2004 (Figure 2), the share of China’s imports to Chad increased approximately to 2% in 2005, and 3% in 2006. According to the national report and the Central Intelligence Agency (CIA) sources, China ranks the third place in imports to Chad with 9.8% in 2008. Today the country is one of the leading exporters and investors in Chad, the export to Chad had reach 12% in 2011. 5- Impact of trade between Chad and China Seen from Chad, trade balance between China and Chad is a largely in deficit for the latter. It seem that before the normalization of their diplomatic relation, China don’t import any goods from Chad according to the national statistic source. However, Chaponnière (2006) rejected this conclusion. According to him, major export products from Chad especially crude oil, once out from Chad territory was export directly to China. He finally concludes that, the bilateral trade balance between Chad and China reached 13% of Chad’s GDP. So Chad government is the first beneficiary of this cooperation, follow by the local manufacturer. It is essentially the small and medium enterprises and small and medium industries. The latter’s even if the derive profit from this cooperation remain the biggest losers. They gain by getting cheap input from China but they cannot compete with the cheap goods from China which flooding the market. For instance, Cyclo-Chad a company specializing in the construction of bicycle in Chad for many years sees its production dropped considerably theses last years. The company is to day in decline despite the favorable price of pipe and other piece of materiel used to assembly of bicycle. Thus, the local producers have the status of long-term losers. For more mutual benefit, the Chadian government has to encourage Chinese producers in the creation of joint ventures with their local counterparts. The second group of losers of this relationship constitutes the local workers and labor unions. In fact, increased imports of Chinese products is synonymous with increasing job opportunities in China, which is equivalent to job losses in Chad unless the products concerned are not at all product locally. Development of joint venture appears to be a solution as we said above, jobs will be created and an unemployment rate will be reduced. One of the positive points of this cooperation is that it benefits to a large portion of Chad consumers. Thanks to cheap products from China, Chadian consumers have easily access to products such as cell phones, television computer generator … that were difficult to acquire few years ago. The merchants benefit to the potential increase in consumers demand, which will end up with more money to spend than before the cooperation. With the growth of their exports to Chad, Chinese exporters are also beneficiaries. The Chadian government benefit from taxes and customs duties, it earn also from its population satisfaction caused by the household income. The potential loss of the Government could come from lower corporate taxes and wages if there is failure of Chadian companies because of competition of Chinese goods or companies. It indisputable that trade between China and Chad took a decisive turn these recent years with the consolidation of their relation. China has becomes Chad first trade partner. 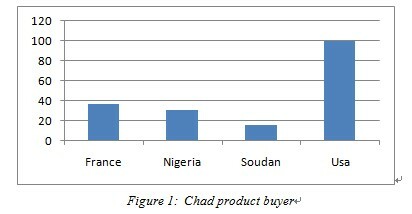 By combining import and export between the two countries, it appears that dependence regarding Chad is looks sharper. This can explain Chad negative trade balance. Thus, trade between Chad and China is “a double-edged sword”, because it allows Chad certainly to win new markets, to seize new opportunities in the context of globalization, to satisfy also the well-being of its population and boost its growth. But, conversely, Chinese imports cause unemployment, and even kill some economics initiatives of the country. Foreign direct investment (FDI) has become in recent years a very important source of funding for low-income countries. With their savings level and their domestic investment often very low, combined with the decline in loans allocated to them in the last decade, FDI has become a preferred source of financing for many developing countries. As a source of capital investment, FDI can boost employment, and in addition to this, it is seen as a way for developing countries to acquire technology, new management methods, and access to the markets of developed countries. By seeking to secure its crude oil supplies by all possible way, in aim to avoid to slow down it economic growth, economic launch at full speed and which is devouring in energy, China has decide to increase its cooperation with Chad. Thus the giant of Asia has decided to invest in three main sectors in Chad: telecommunications sector with CHAD –CDMA2000 project (Code Division Multiple Access, mobile phone and landline phone), and mobile telephony in Chad Company of Telecommunication (SOTELTCHAD), the construction of cement plant in Boare and construction of Djermaya refinery at 50 miles north of N’Djamena. For western investors, Chad is a high-risk country because of its recurrent insecurity situations; most important investments are scarce or nonexistent. In this section it will be question about the scope of Chinese investments in Chad. The CDMA 2000 project is a technology based on radio network of the third generation, introduced through the ZTE Corporation. Its advantages include the reduction of investment costs, speed of installation and ease of expansion, which should contribute to reducing the digital divide. Cement industry, finance by China CAMC Engineering Ltd, has a major advantage in the current economic context. Indeed, the Chadian government has adopted, among others, to strengthen the macroeconomic framework by diversifying the economy and especially the increased investment in promising growth sectors. The development of basic infrastructure (roads, building, schools, health centers, irrigation system …) is highly sought in Chad, which is a major asset for the future cement industry. The official start of the plant construction took place in 17 December 2007. This plant will have a production capacity of 200,000 tons per year and 700 tons of clinker per day. It has been claimed by the Chadian government that, labor forces will be mainly local and at the end of the project, the price of cement will decrease to half. Regarding the refinery of Djermaya, it owned by: 60% for CNPC and 40% for Chad Hydrocarbons Company. It will be driven by the production of deposits in Sedigui and Mayo-Kebbi, in the exploration phase by CNPC. Discovered by an American consortium in 1974 but never operated, the reserves of Sedigui would approach 500 million barrels. The realization of this project will mark the consecration of China as a major competitor to the United States and France in Chad since these two countries in the past have refused to fund the refinery project that they deemed unprofitable. According to Jiang Wen, Deputy Director-General of the Chinese National Petroleum Company Incorporation (CNPCI),”Ndjamena will have an annual processing capacity of one million tons of oil. More than 700,000 tons of gasoline and diesel fuel, 20,000 tons of kerosene and other products such as kerosene and polypropylene will be produce “. However the first beneficiary was the households. The latter are already benefit in the field of communications with the low prices due to Chinese investment. They benefit more with the cement plant and the oil refinery .Other beneficiaries are Chinese entrepreneurs and investors. The Chad government gain by reinforcing its public companies specially the public telecommunications company and allowing the population to have access to cheap products. But, it lose through the tax exemption granted to the equipment which go together with the investment and through the gap of tax of Chadian workers who are engaged in project with relatively low wages. For Chadian workers, there are actual employment opportunities with Chinese investment but the downside is that the pace of work is very exacting and some safety standards are neglected. However, the improvement of working conditions will benefit more the entire workers. In this section, it will be question about the global impact of this cooperation between the two countries. Chinese presence in sub-Saharan Africa, particularly in Chad is defined in terms of historic opportunity, a catalyst for development, economic partner, an investor and a “new player” to loosen the grip of traditional lenders. On the aspects such as investment, trades are also judged as positive. Chad has huge needs of capital, technology and infrastructure, and China meet these needs unlike the West, which is focus on logic of dividends extraction. The case of the refinery allows us to illustrate it: Chad had asked the World Bank to finance the refinery project in Sedigui in the context of research solutions to energy problems. France and the United States refused to finance the project saying that it would not be profitable. In addition, the costs of Western companies are 50% higher than those of Chinese companies. Western companies buy the crude oil in Africa and refine them in their own countries, due to environmental constraints and the low profitability of the sector locally. The Americans or the Europeans refuse to participate in these projects because they do not want to pass on their expertise, and because they support the high price of refined oil sell in this country and in the rest of African country. With the refinery it’s now possible to integrate the local market with products at low prices, encourage the consumption of butane and electricity at low price .This is likely to replace firewood whose intense exploitation increasing desertification problems, substantially reduce the electricity price and reduce the imports of fuel. The structure of Chinese investment confirms its status as a development partner. First, it is Chinese investments which mainly explain the growth rate of African countries in the recent years. Second, Chinese investments have not only focus on the raw materials (oil), they are also orient towards general development sectors such as infrastructure, telecom, cement, textiles, tourism, food industry, etc… Thus the cement plant in Chad is an example, which allows the country to produce its own cement instead for import it. We can thus conclude that chinese presence has helped to improve the living standards of the poorest people: the most obvious impact is the availability of cheap consumer goods of varying quality as never before. The first aspect is about the diversion of Chad economic, currently focused on the production of oil and minerals which China need. While responding to this demand, the economic fabric of the country is weakened by a polarization of local investments in these fields at the expense of diversity of production making the country more dependent on their foreign customers. 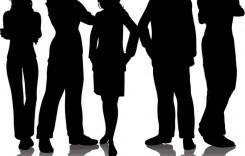 Some suspicion arises due to the economic and social costs in the long term. Chinese companies are accused of flooding local markets with counterfeit or poor quality products, particularly in the textile, and the mopeds sector, which harm Chadian companies. Chinese shops flood the city of N’Djamena and compete directly with local merchants. The second is the social aspect, if in exchange for the raw materials, China built a number of roads or other infrastructure, the local labor is little or no took into account, chinese companies often provide the most part of the labor from China by exacerbating an unemployment rate which is initial high, this labor came from the poorest regions of China, is often frowned upon by the local population already struggling to survive. 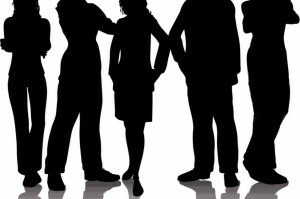 Another social aspect involves the work sites on which a few number of local workers are employees, they are subject to the same working conditions as their Chinese counterpart, without too much guarantee and respect of working conditions in the country or international labor regulations. To better establish its economy in international trade, Chad needs to diversify its economy and reduce its dependence on exports by developing its own manufacturing industries. Thus, the resumption of cooperation with China was considered important by the government, especially with the launch of the Sino-African politics in 2006. The Chinese intervention in Chad can be an asset to the Chadian population if we are to believe that this policy is diverse, ranging from politics to economics, to the security and the development of human resources, seeking to ensure cooperation for mutual benefit between China and its African partners. As we as shown above, this cooperation is an asset for the entire country. On commercial aspect, it allowed the population to have access to some first necessity goods at lower price than the past years. Chinese investment has been welcomed by the Chadian authorities in particularly the investment which concern some sectors that the traditional partners do not invest. This investment has also play an important role in Chadian people life. Thus the living standard of certain class of population is then improved. This cooperation is overall beneficial to the Chadian government and for the entire population. However, the population will more benefit from this cooperation if some measures are applied by the government. As a measure, China and Chad governments are expected to be more transparent in their contracts, conventions and agreements that bind them. This would avoid interpretations and speculations, corruption and misappropriation. Qualitative, social and environmental aspects must be incorporated into these agreements in order to protect the most vulnerable populations. In the various contracts, the points on the use of local labor should also be included to meet the social demand of the unemployed. In terms of foreign trade, the wind of liberalization which is blowing has direct positive effect on the purchasing power of households and the reduction of import duties and taxes is strongly encouraged, except for certain products that could threaten the survival of some national companies with a strong local workforce. Protection from public authorities is not an economic and sustainable solution, the whole organization of the local companies need be deeply modify , production line and the marketing system must been improved, in order to make them more productive and competitive. Local private operators should review their marketing strategies in order to be at the height of the Chinese companies and merchants. For a sustainable development of all Africa countries, partners have to focus on Lome 1 accord. 1-Amaizo Y. (2006) «For new cooperation between Africa- China: the errors not are reproduced www.afrology.com/eco/amazoichinafric.htlm, April. 2-World Bank (2006, 2012): annual report. 3- Broadman, Harry G. (2006), «Africa’s Silk Road: China and India’s New economic frontier» (Washington: World Bank). 4-CHAPONNIERE, J-R (2008). « The Chinese aid to Africa: origins, methods and issues », Politic Economic, no.38 April, p.7-28. 6-INSEED (2007): Statistiques d’importation et exportation, année 2005. Institut National de la Statistique, des Etudes Economiques et Démographiques, N’Djamena, Tchad. 7-PENNY D (2007), China and the poverty in Africa. Towards mutual benefits? Diakonia and Eurodad. 8- WTO, (2004, 2012, 2013), World investment report.